The rating is based on a survey of journalists and analysts. 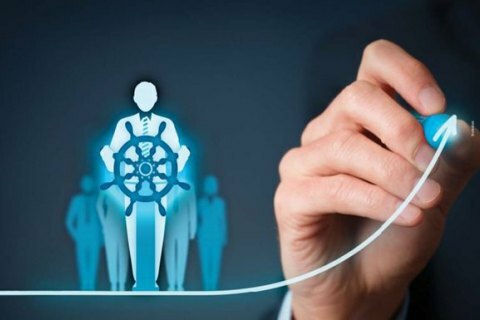 The “50 Business Captains” rating published in the Korrespondent magazine on 25 October has named the top leaders of Ukrainian companies, banks and state-owned enterprises. According to the editorial team, the rating is based on a survey of journalists and analysts. The experts were asked to answer two questions: 1) Describe the public reputation of a top manager, and 2) Describe his or her contribution to the business development of a company. Oleksandr Bulba, CEO of the Ukrainian delivery company Nova Poshta, has topped the rating. He is followed by Oleksiy Vadaturskiy (Nibulon), Ihor Smelyanskiy (Ukrposhta), Volodymyr Lavrenchuk (Raiffeisen Bank Aval) and Musa Magomedov (Avdiivka Coke Plant). The rating also features some relative newcomers, such as Petr Krumphanzl, chairman of the board at PrivatBank. He was appointed to the post in January 2018. Earlier, he was the chief operating officer at the Home Credit China financial company. Dmytro Shymkiv, chairman of the board at PrJSC Pharmaceutical Firm “Darnitsa”, who has been managing the company since September, is also mentioned in the rating. Previously, he was a deputy head of the Presidential Administration of Ukraine. In 2009-2014, he headed the Ukrainian office of Microsoft Corporation.